Well, I say I’ve switched to mineral foundation just for summer — it may well be for life after the whole NARS debacle. But warmer temperatures were my main motivation for swapping my usual base products for one simple pot of powder. 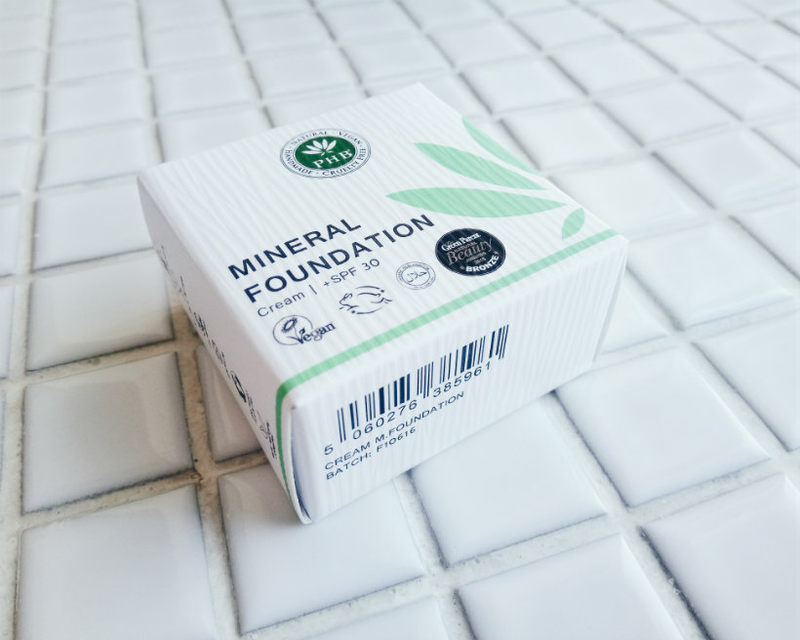 Mineral foundation is a lot lighter than liquid formulas and I wanted something breathable to prevent breakouts, which sometimes pop up when I’ve been wearing a lot of SPF. With all that in mind, I spotted PHB Ethical Beauty’s Loose Mineral Foundation* (v) on LoveLula and couldn’t resist trying it out. PHB’s products are vegan, cruelty-free, gluten-free, paraben-free, and halal certified, plus they don’t contain any nano particles, talc, fillers, mineral oils, or GM ingredients. If you’re looking for natural beauty then you can’t get much better than this! 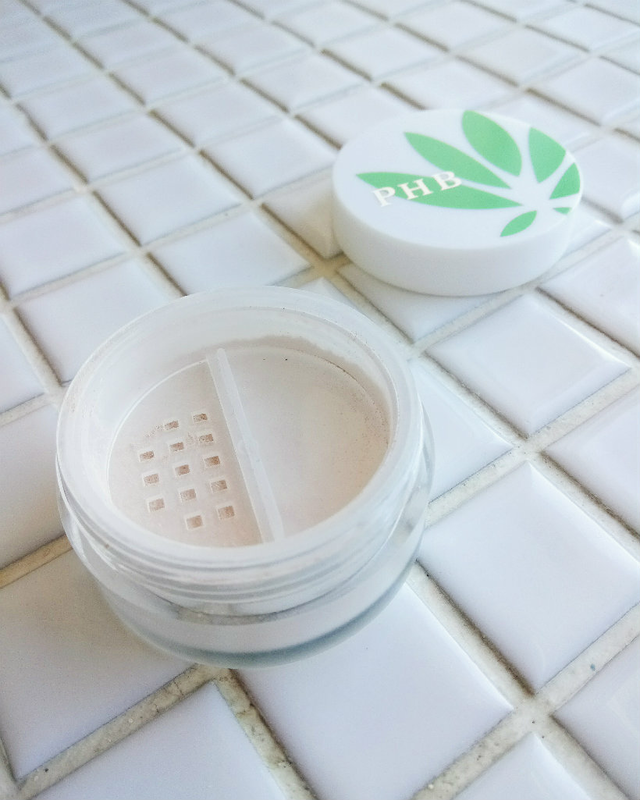 PHB Ethical Beauty’s signature packaging is a clean white with green leaf print — very 2017. It also displays the approval of the Vegan Society and the Humane Society. I picked the palest shade, which is called Cream and literally is the colour of single cream. (‘A very fair porcelain shade with neutral, balanced undertones for very fair skin.’) Ironically, this makes it a tad pale for my complexion at the moment (the sun has brought my freckles out something fierce) but it’ll be perfect in autumn and winter. There are 12 shades of the Loose Mineral Foundation available, from the uber-pale to options for people of colour. Mineral foundations are normally finely milled and this one is no exception. I sweep a kabuki brush into the minerals, tap off the excess, and then buff them gently into my skin. The light texture makes layering a breeze and the finish is silky and natural. The coverage is light-medium, but the wonderful thing about mineral foundations is how buildable they are. So if I have any areas that need a little more coverage — the pigmentation on my chin springs to mind — then I can conceal them with ease. I’ve noticed a little bit of caking around spots as the day wears on, normally when I have dry, flaky skin, but this is nothing a little exfoliation can’t help. Otherwise, the mineral foundation keeps oil at bay until for a good eight hours. £15.95 for 8g, or you can buy a 1.5g sample pot for £4.95. The product lasts for 36 months before it expires. Have you ever used mineral foundation before? What kind of base do you like to wear in summer? Let me know in the comments! Product was sent to me by LoveLula for consideration of review. As always, all words and opinions are my own.